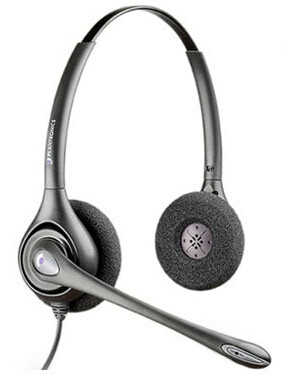 The Plantronics D261N SupraPlus Binaural Noise Cancelling Corded Headset must be used in conjunction with the Plantronics VistaPlus DM15 Digital Amplifier. The Plantronics D261N SupraPlus Binaural Noise Cancelling Corded Headset has been created to work with the VistaPlus adapter to optimise audio performance in Health and Safety conscious work environments. Meeting the lower sound exposure thresholds required by Noise at Work legislation often means that the headset receive is quieter than previously experienced. This can make calls harder to hear and potentially reduce productivity.